ALPS Mountaineering's versatile Camber Chair features a wide sling-like seat for maximized comfort and relaxation, ideal for chilling at your campsite, tailgate, backyard barbeques and more. Constructed of durable 420D polyester honeycomb fabric with a nylon mesh center, air circulation helps regulate your body temperature on hot, humid days. 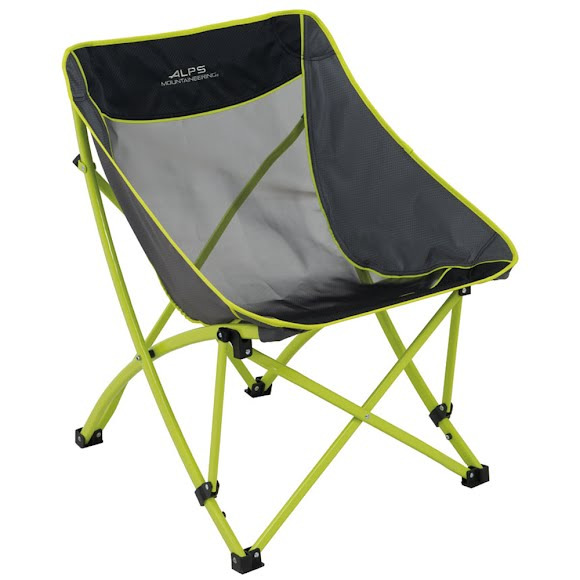 ALPS Mountaineering &apos;s versatile Camber Chair features a wide sling-like seat for maximized comfort and relaxation, ideal for chilling at your campsite, tailgate, backyard barbeques and more. Constructed of durable 420D polyester honeycomb fabric with a nylon mesh center, air circulation helps regulate your body temperature on hot, humid days. The Camber Chair boasts a steel powder-coated frame, which will hold up to 300 pounds. Easy, compact folding and an included shoulder carry bag make the Camber Chair easy to bring along for all of your adventures.